INT'L T. & S. Co. The fixed and foldable maize headers, available in different models, operate with all combines makes and models. The row units sturdy frame is electrically welded with cataphoresis treatment. The gathering chains are mounted with automatic turnbuckles to ensure a correct tension while the low profile and hinged metal covers and points (ideal to harvest laid down product) allow for easy and quick maintenance. The stalk chopper gear boxes, in a lateral forward position, with low power absorption can be installed on the row units at any moment. Thanks to a lever, the chopper can be activated / deactivated at any moment. The milking rollers can be supplied, at choice, either with self-sharpening blades with carbide tungsten insert or with winglets. The snapping plates are controlled either electrically or hydraulically directly from the cabin. Safety clutches are mounted both on the main auger and on the row units. In addition, the transmission chains are automatically lubricated while the header is operating. The closing of the foldable headers is controlled directly from the cabin and when “closed” the width of the header abides to the circulation code standards. Special equipment: Foldable headers: are supplied with a light bar complete of reflector, lights and connecting cable. On request: one / two lateral conical augers hydraulically and independently driven; Blade or rotary sunflower kit to harvest small sunflower areas;Stainless steel covers. 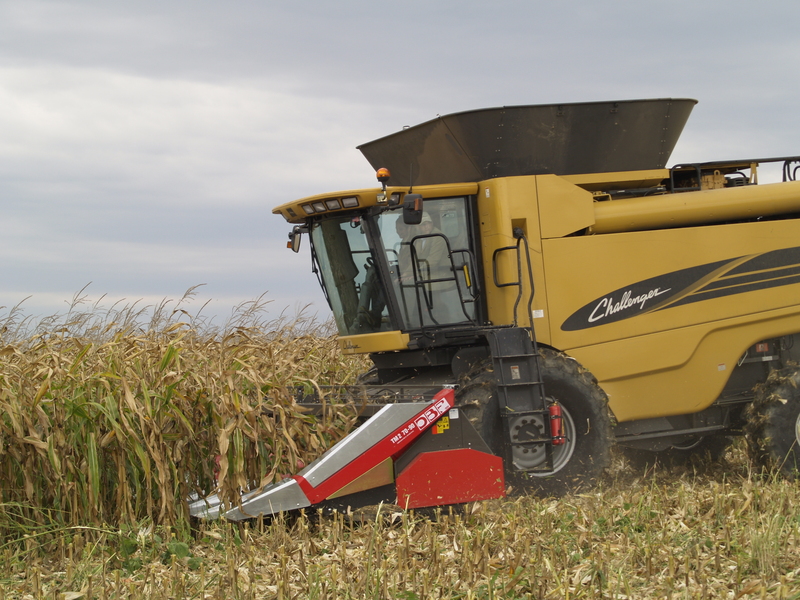 Note: the TM.TM – RP 2 model with external transmission allows the tilting of the combine channel with 6 to 10 row headers. When folding the header, it is necessary to disconnect the transmission shafts. Welcome to our website, discover all the services that the International Trading & Service Company Srl can offer you!